The Oxford Dictionary defines an herb as any non-woody seed bearing Plant/Herbs which dies to the ground after flowering and is used for flavouring, food, medicine, scent etc. What the common eye tends to miss out on, is the fact that it’s not only after you’ve caught a disease for which the herb serves as a drug that its use comes in. The properties of certain herbs equip them to be used in daily life in order to keep your health levels in their best possible positions and your fitness intact. Here we offer for your convenience, a list of some of the most underrated herbs which along with their medicinal properties help the human body in its functioning. Today varied types of herbs are used a medicinal plant with different qualities like flavour, scent, and other things. Also herbs are used in the preparation of herbal foods and for spiritual activities in social life. Also Tulsi which is known as herb has wide spread usages because of its medicinal effects in many countries. It is known that lots of consumers using Tulsi for making black tea, medicines, in Pujas and other activities in their daily life. Today users should know that the herbs has important role in providing effective healthy life. Also it is found that an herb shows its importance in a varied form such as culinary, spiritual, and medicinal. Astrology is the science of certain cryptic relations between the celestial bodies and terrestrial life. It is considered an art and a practical science. It lays no claim to be what used to be called an exact science, but studies certain predispositions or Read more..
Yoga is a Hindu spiritual and ascetic discipline, a part of which, including breath control, simple meditation, and the adoption of specific bodily postures, is widely practised for health and relaxation. Yoga is a practical aid, not a religion. Yoga is an ancient Read more.. 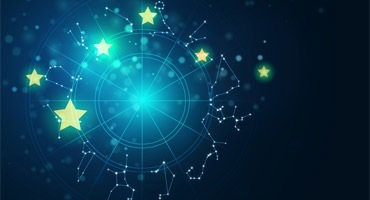 This is the most mysterious and complicated part of Indian Astrology with earliest references coming from the Vedas, making the first literature available even before the first known text on Indian Astrology was discovered. It Comprises of Mantra Read more..